Home Katiba Corner Legal Aid: New Hope or False Dawn? “To no one will we sell, to no one deny or delay right or justice”. 801 years ago the King of England was forced by his lords to make that promise in Magna Carta. That was not really a charter for the common people. 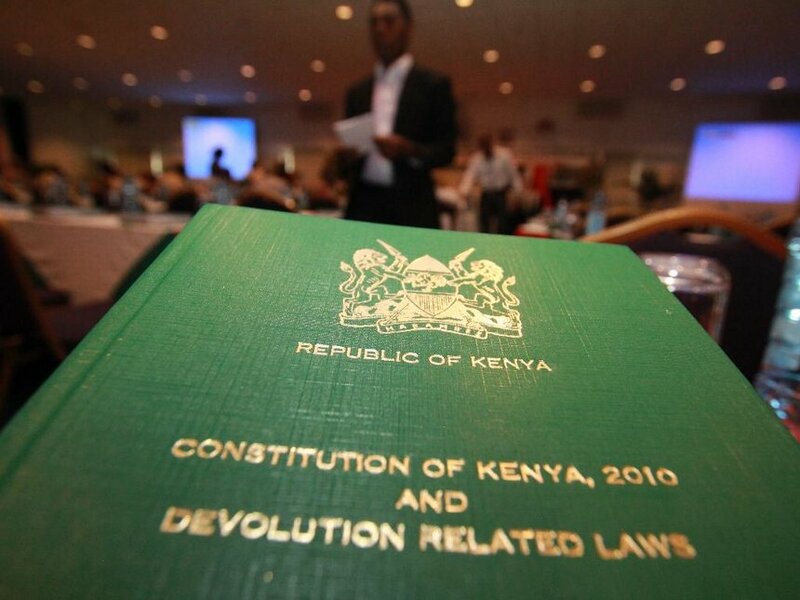 But there is a clear link through history to Kenya’s Constitution. This says the state must ensure access to justice for everyone, and in criminal cases the right to a fair trial includes the right to have an advocate at State expense, if substantial injustice would otherwise result. For many years it has been possible for a person tried for murder in Kenya to be provided with a lawyer at public expense. But oddly this was not extended to people tried for robbery with violence, even though people convicted of it are sentenced to death. There are a few other limited public or private procedures or initiatives to assist people to get help in going to court. In the Bomas Constitution draft there was to be a “public defender” office, to “provide legal advice and representation to persons who are unable to afford legal services”. In some countries such an office has been very important to ensure access to justice, especially levelling the playing field for the citizen faced with the might of the state in court. It disappeared during the Committee of Experts “let’s make it short” phase. Even after the 2010 Constitution, judges have refused to enforce the provision about advocates at state expense beyond murder cases. They have said – rather unconvincingly – that we needed to wait for a law. Maybe the judges were shying away from what they thought was too tough a task for the courts: working out when not having a lawyer would cause “substantial injustice”, and from the problem that legal aid is inevitably expensive. Now Parliament has passed a law: the Legal Aid Act, 2016. So what is that going to mean for Kenyans’ access to justice? “Legal aid” under the Act is not just about lawyers for criminal cases. It covers civil cases (including constitutional cases) , and legal advice about cases. Administrative tribunal cases would also be covered (maybe not the sort of cases that the poor generally get involved in, though a de-registered teacher appealing to the Teachers Service Appeal Tribunal might be eligible). Some sorts of legal cases are not covered at all, including tax, debt cases, bankruptcy and defamation (even if you are sued and not the person trying to get compensation). To get legal aid, a person must be unable to pay for legal services. Regulations will perhaps adopt scheme found in some countries of having a general cut-off point (based on resources), above which a person could never get legal aid, but below which they are eligible but might have to pay a contribution. The Act does envisage that such a “middle level” person might pay a contribution. Not having the money is not enough: to get legal aid a person must be resident in Kenya, and be either a child, citizen, refugee, or trafficked or stateless person. A non-citizen adult accused of a crime, and who is not a refugee or stateless, could not apply. This seems unfair – and against the Constitution, which recognises the right of “every accused person” to a lawyer. Legal aid cannot be given to a company, trust or association. Of course you would not expect Safaricom to get legal aid; but what about chamas? Or community based organisations? The Act also says that some other tests or conditions must be satisfied. The case must be sufficiently important, there must be a reasonable chance of success, there must be enough funds available. The decision to grant legal aid should take account of whether the matter is of general public interest, or whether they might be especially difficult for the applicant to conduct without a lawyer. One factor is would denial of legal aid result in “substantial injustice to the applicant”. Who will provide these legal services? It seems it will not be the “Scheme” that the Act sets up. The National Legal Aid Scheme (NLAS) can appoint administrators but not lawyers to provide legal services. These will be provided by lawyers in private practice, NGOs, and the Law Society of Kenya. Various NGOs do this sort of thing already, through paralegal schemes, using volunteer lawyers and so on. They will continue to do so, but mainly as accredited legal aid providers under the Act. What will the NLAS do? It will consider applications for legal aid, made directly or through another body or person – maybe an organisation that may provide legal aid, or a lawyer in practice, while people in custody may apply through the police or prison. The NLAS role is to make the decision about whether legal aid is to be given, and must do so within 48 hours. This is totally unrealistic – and unnecessary for many cases. Criminal cases may need a quick decision, but sometimes deciding even on the financial situation of an applicant may take time. The NLAS will allocate an accredited supplier to a successful applicant, presumably depending on the complexity and type of the case. The NLAS is also to fix fees for legal aid work (which are to be less than the normal fees charged by lawyers). There is an existing scheme, now limited in geographical coverage and scope, that will temporarily run the new scheme. But the Act has become law, and effective from May 20 th. Already police, prisons and courts should be informing people that legal aid is available. And from now a court may order that the state pay for a lawyer for anyone tried for an offence (not just murder) for which the death penalty can be imposed. However, new and complex regulations will be needed to make the new scheme effective nation-wide. The transition will not be easy and there are many concerns. For example, we are no clearer now about what “substantial injustice means”. Not least of the concerns is that no real promises are made. Particularly legal aid can be refused if there is not enough money. Has any new money been allocated? Will it be allocated for 2016/17? Will it be enough? Does anyone know how much will be enough? Public money is being introduced into a situation that was largely voluntary or donor funded. What impact will it have? How will the various agencies work together? There is another concern: how independent of government will the scheme be? The NLAS will give legal aid to people some of whom are opposing the government, and using the services of NGOs some of which may be seen as part of “evil society”. The National Assembly changed the make-up of NLAS quite a lot. Now the Chair is chosen by the President, the Chief Justice chooses a Judge, and there will be three Principal Secretaries. Then the DPP or representative, nominees of the Law Society of Kenya, the Kenya National Commission on Human Rights, the Council of Legal Education that regulates education in law, and a forum of Public Benefit Organizations offering legal aid. But the last three nominating bodies (KNCHR, PBO forum and CLE) must each submit three names to the Cabinet Secretary – who will therefore have the last say on choice of the individual. So only three of the ten members will not owe their appointment to the executive – and one of these is the DPP!